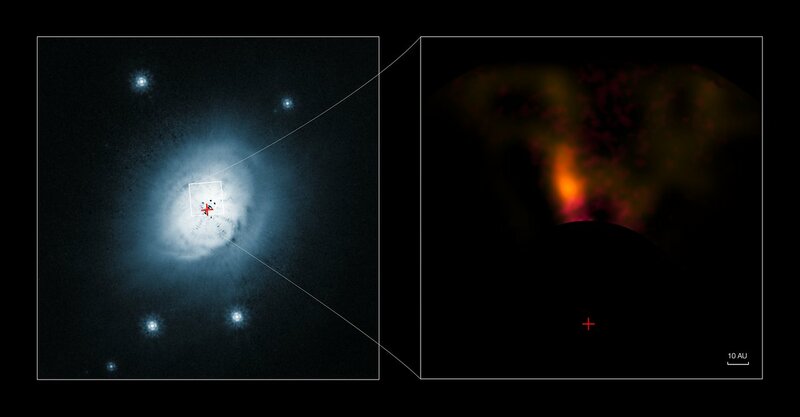 An international team led by Sascha Quanz (ETH Zurich, Switzerland) has studied the disc of gas and dust that surrounds the young star HD 100546, a relatively nearby neighbour located 335 light-years from Earth. 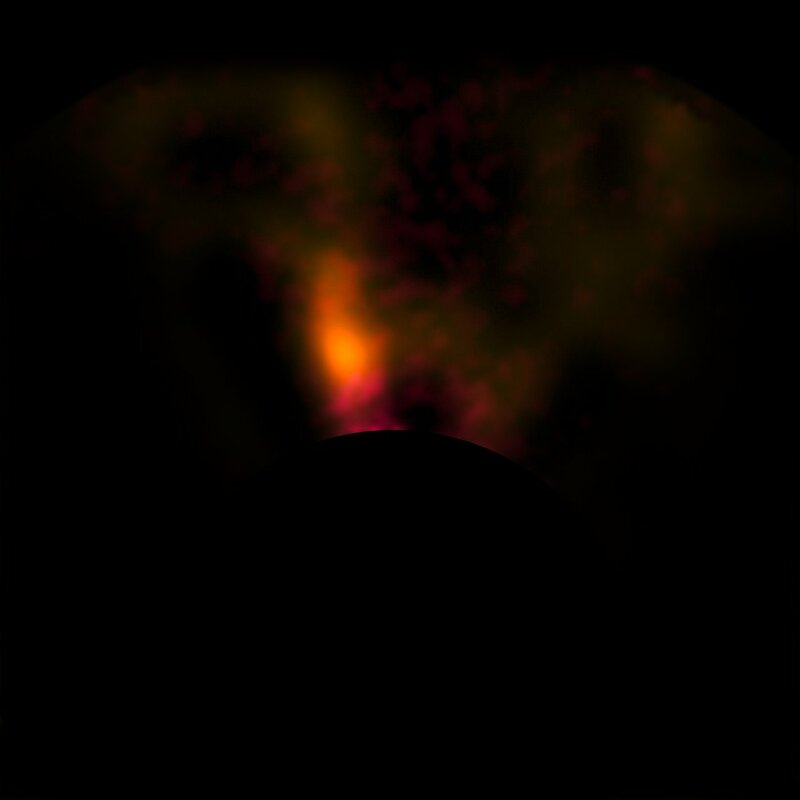 They were surprised to find what seems to be a planet in the process of being formed, still embedded in the disc of material around the young star. The candidate planet would be a gas giant similar to Jupiter. HD 100546 is a well-studied object, and it has already been suggested that a giant planet orbits about six times further from the star than the Earth is from the Sun. 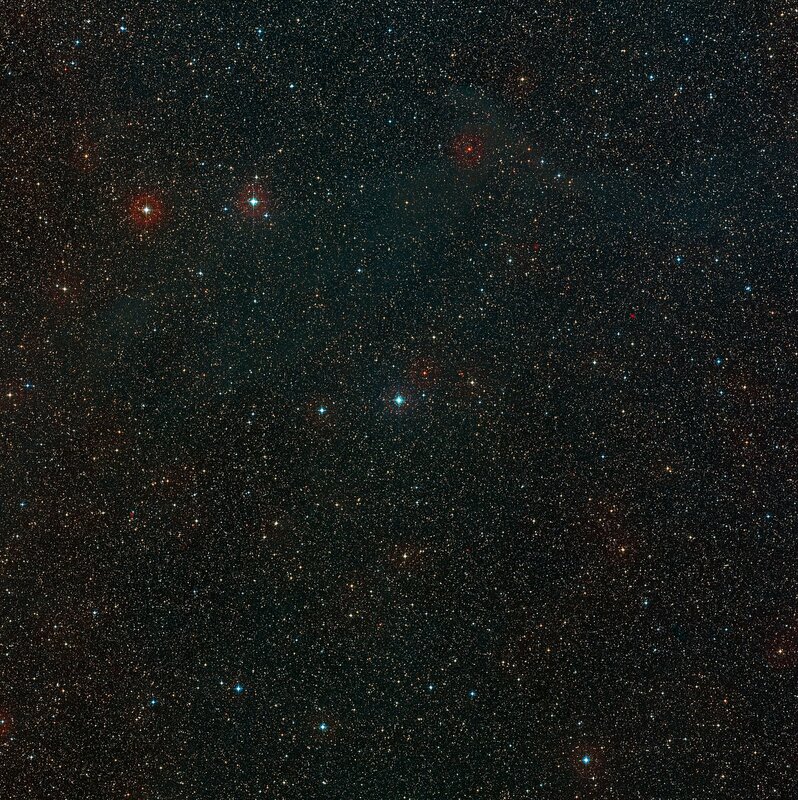 The newly found planet candidate is located in the outer regions of the system, about ten times further out . The planet candidate around HD 100546 was detected as a faint blob located in the circumstellar disc revealed thanks to the NACO adaptive optics instrument on ESO’s VLT, combined with pioneering data analysis techniques. 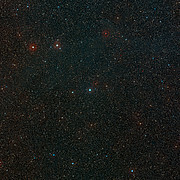 The observations were made using a special coronagraph in NACO, which operates at near-infrared wavelengths and suppresses the brilliant light coming from the star at the location of the protoplanet candidate . According to current theory, giant planets grow by capturing some of the gas and dust that remains after the formation of a star . The astronomers have spotted several features in the new image of the disc around HD100546 that support this protoplanet hypothesis. 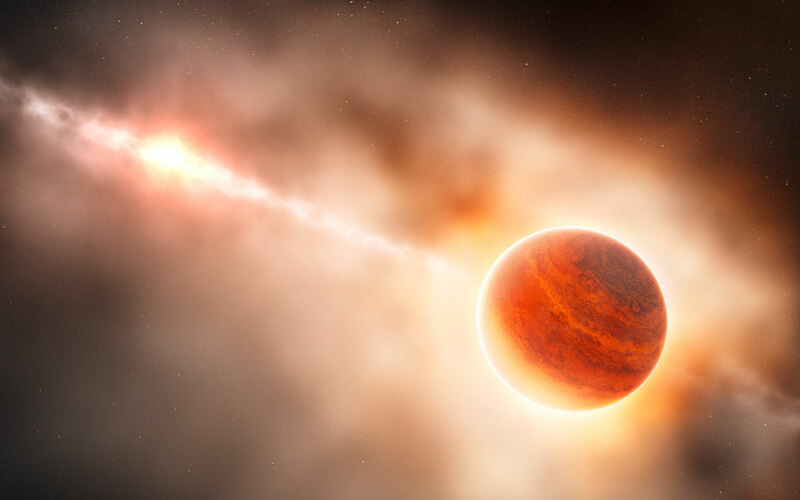 Structures in the dusty circumstellar disc, which could be caused by interactions between the planet and the disc, were revealed close to the detected protoplanet. Also, there are indications that the surroundings of the protoplanet are potentially heated up by the formation process. Although the protoplanet is the most likely explanation for the observations, the results of this study require follow-up observations to confirm the existence of the planet and discard other plausible scenarios. Among other explanations, it is possible, although unlikely, that the detected signal could have come from a background source. It is also possible that the newly detected object might not be a protoplanet, but a fully formed planet which was ejected from its original orbit closer to the star. 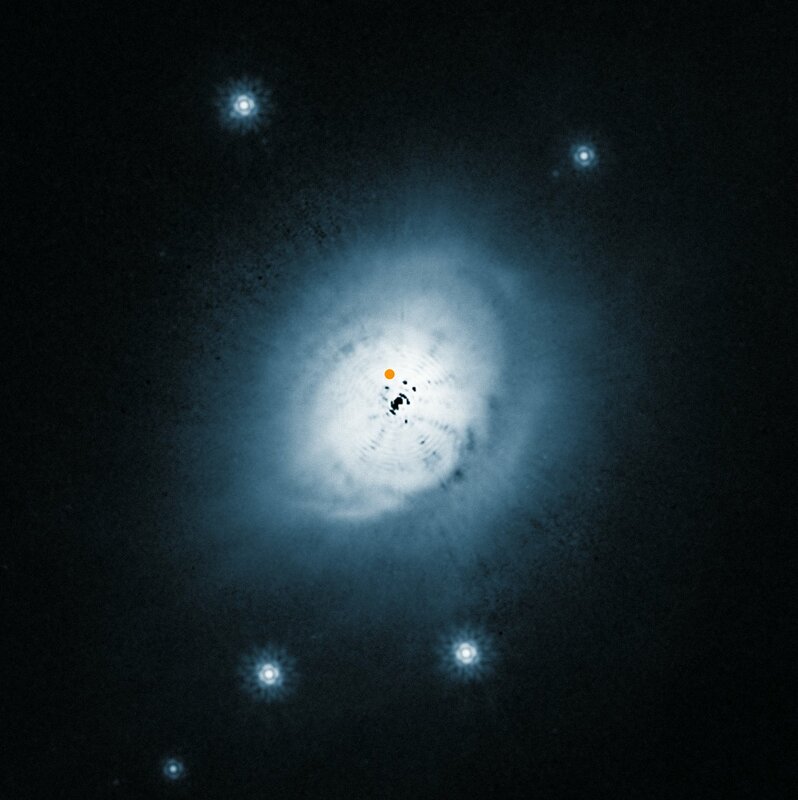 When the new object around HD 100546 is confirmed to be a forming planet embedded in its parent disc of gas and dust, it will become an unique laboratory in which to study the formation process of a new planetary system. The protoplanet candidate orbits about 70 times further from its star than the Earth does from the Sun. This distance is comparable to the size of the orbits of outer Solar System dwarf planets such as Eris and Makemake. This location is controversial, as it does not fit well with current theories of planet formation. It is unclear at present whether the newfound planet candidate has been in its current position for the whole time since it formed or whether it could have migrated from the inner regions. 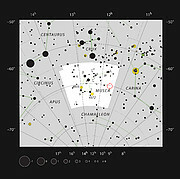 The team made use of a special feature called an apodised phase plate that increases the contrast of the image close to the star. To study planet formation, astronomers cannot look at the Solar System, as all the planets in our neighborhood were formed more than four billion years ago. But for many years, theories about planet formation were strongly influenced by what astronomers could see in our local surroundings, as no other planets were known. Since 1995, when the first exoplanet around a sunlike star was discovered, several hundred planetary systems have been found, opening up new opportunities for scientists studying planetary formation. 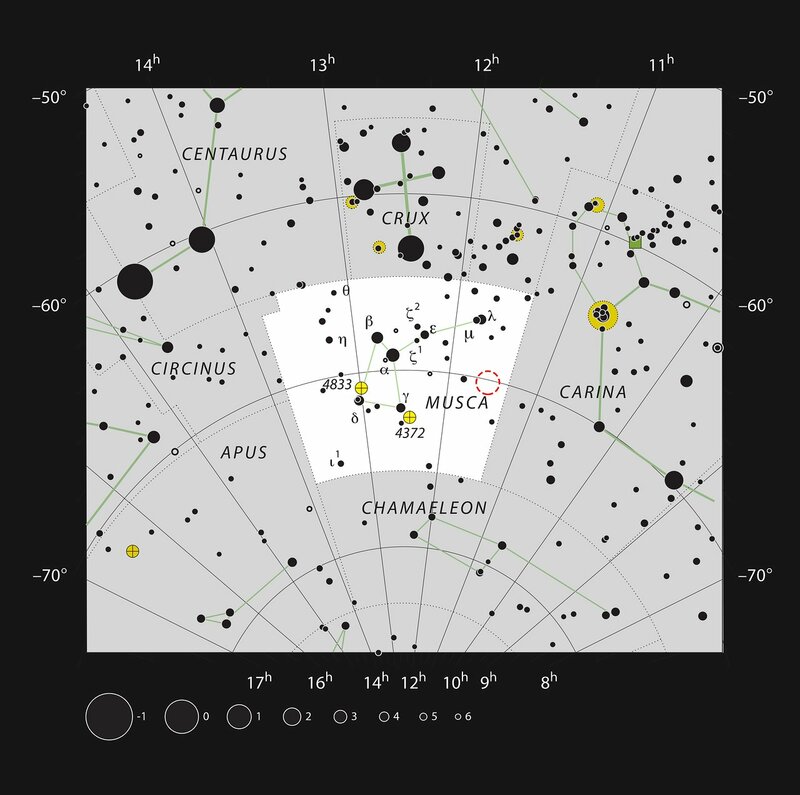 Up to now however, none have been “caught in the act” in the process of being formed, whilst still embedded in the disc of material around their young parent star. This research was presented in a paper “A Young Protoplanet Candidate Embedded in the Circumstellar disc of HD 100546”, by S. P. Quanz et al., to appear online in the 28 February 2013 issue of Astrophysical Journal Letters. The team is composed of Sascha P. Quanz (ETH Zurich, Switzerland), Adam Amara (ETH), Michael R. Meyer (ETH), Matthew A. Kenworthy (Sterrewacht Leiden, Netherlands), Markus Kasper (ESO, Garching, Germany) and Julien H. Girard (ESO, Santiago, Chile).